Video marketing has become one of the toughest and smart procedures to reach the audience across the globe. It is most efficient and effective way to approach the people and encourage and attract them towards your products, but the thing is there are some millions of video content already existed on the web, and it is challenging to get identified among the millions of videos and succeed. There are several challenges before the video marketer to succeed in video marketing. 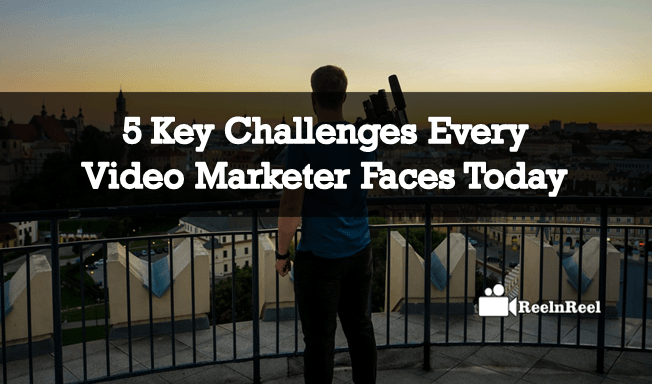 Here are some five key challenges that every video marketer faces today. People are just ignoring some types of ads and involved in watching other content. It is harsh to the marketers to get the valuable time from the audience towards the product they are selling. It becomes difficult to deliver the message to the audience between the number of attractive offers given by the other marketers. Different types of content related to different categories are trending online. It is challenging to go innovative, creative and unique for every video upload. Another important thing is conveying the comparison of products to the audience. ROI is one of the most significant challenges as it goes hand in hand as it is not so easy to track them for every activity. The marketing activities and the sales results must manage. Ranking plays a great role in video marketing today. The marketers have to implement various tactics and strategies and have to apply to get good rankings. The challenging thing is to maintain the ranking position with consistent quality uploads and building of efficient community. Targeting the audience is the most prominent challenge if the target is the international audience. Localized targeting is very different from targeting the audience across the globe. The marketer must efficiently attract the audience with content and raise the interest. These are the most common challenges that each marketer will drive through when they completely relay on marketing. They should have some knowledge on marketing strategies to defeat those hurdles.